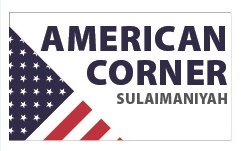 The American Corners are friendly, accessible spaces, open to public, that provide current and reliable information about the United States through bilingual book and magazine collections, play-ways, film and documentaries, poster exhibitions, and guides for research on the United States. At the same time, the corners organize events, presentations, workshops, and dialogues with U.S. experts in areas that include educational advising, English language, health, sciences, technology, environment, economics, democracy, and civil society. It is also a meeting place for US alumni, host to conversation and study groups, and great place to hang out while away an hour or two! Membership is free and open to the general public. American Corner has been shifted from general library to UoS - Central library since, 1/02/2015. Time & Date of opening: Sunday to Thursday, at 8:30 a.m. – 2:30 p.m.